Handle any powder types from cohesive to free-flowing. 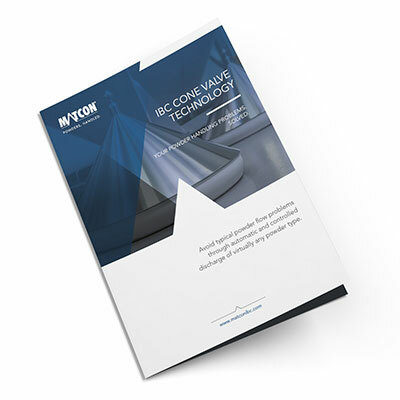 With the Matcon Cone Valve technology you can overcome any powder handling issues including bridging, blocking and powder mix segregation. Cohesive materials can be stimulated to flow, whilst free-flowing powders can be controlled. In fact, the variable lift height of the cone means that dosing can be achieved straight out of the IBC without the need for additional feeders.